Take Two Interactive has revealed two release dates for their two upcoming XCOM games – one to the public and one to investors. The Firaxis remake of UFO: Enemy Unknown will launch in North America on 9 October and elsewhere on 12 October. 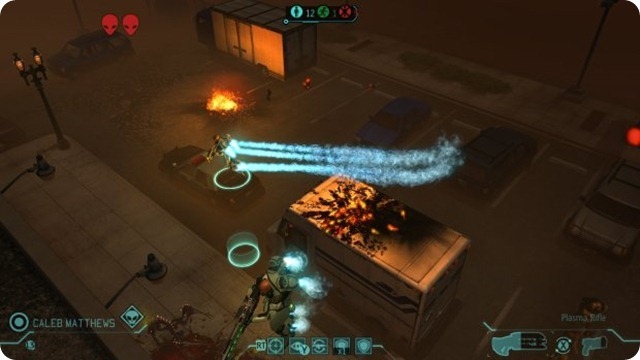 As for the shooter-style reboot (just called XCOM), that was originally announced in 2010 for release in 2011. That was then delayed to 2012. Then a second delay to 2013. It has now been delayed a third time and yet another year to 2014, according to Take Two’s financials. If I was inclined to bet, I’d say that that particular game in the XCOM franchise will meet the same fate as some others in the series and never be released. Financial reporting from games-publishers often makes for interesting reading. Almost always, you’ll see things quoted like “non-GAAP earnings”, and “non-GAAP net sales” and so on, accompanied by some substantially large dollar figures. So, what actually is GAAP reporting? Well, there are two major systems of financial reporting. One is the International Financial Reporting Standards (IFRS), and the other is Generally Accepted Accounting Principles (GAAP) which is used in the USA. GAAP is a collection of rules and principles about how a company reports its income, sales, losses, assets and overall financial operations. The principles of GAAP are: regularity, consistency, sincerity, permanence of methods, non-compensation, prudence, continuity, periodicity, Full Disclosure/Materiality, and Utmost Good Faith. So, what’s non-GAAP reporting? Well, non-GAAP reporting pretty much means that one or more of those principles isn’t being observed.